The Annual San Francisco Fall Art & Antique Show established in 1982, is currently the oldest continuously operating international antique show on the West Coast. The event, lasting four days, is held at Fort Mason, in San Francisco. The show features approximately 60 international dealers, various exhibitions including items from private collections, lecture series, and related parties with over three thousand people in attendance. The items showcased in the Antique Show are vetted in cooperation with the Antique Dealers Association of California, securing its rank as one of the top antique fairs in the world. 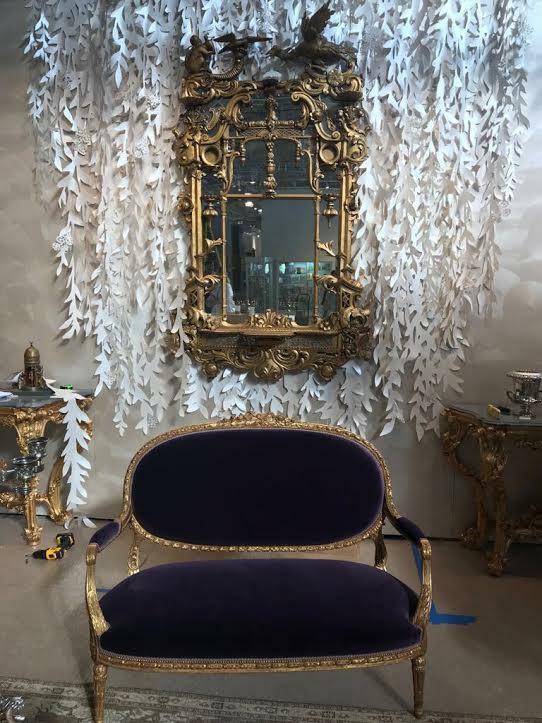 The Fall Antique show features glamorous and individualistic installations housing pieces of fine art and specialty antiques ranging over multiple different styles and periods in art and design. The renowned fair, which brings together an extraordinary range of fine and decorative arts, including American, English, Continental, and Asian furniture and decorative objects, fine art, jewelry, and much more, will be chaired by the San Francisco based interior designer, Suzanne Tucker. For this years exhibition, the theme is “Flower Power: Floral Imagery in Art and Design,” in honor of the 50th-anniversary celebration of the San Francisco Summer of Love. This particular theme explores the “beauty and romance of blooms and blossoms through the ages. Floral imagery has long been part of rich visual symbolism in in art, be it mythological, religious or romantic. Flower Power is fertile ground for cultivating a uniquely curated assortment of art and antiques”. The purpose of this event is to not only spread cultural awareness and the beauty of art but rather to raise money for Enterprise For Youth. This is a program that engages and empowers youth to discover career opportunities through training, guidance, and employment experiences through diverse work-study opportunities. Overall, the event was lovely. I had the pleasure of meeting with fellow designers, philanthropists, art and antique enthusiasts and many other guests who were in attendance. The women's and men's fashion, were a true highlight of the evening. The women in attendance were a sight to behold, as their collective outfits were as spectacular as ever. Their style seemed to mix classical floral patterns with a more contemporary twist, completely embracing the theme of “flower power”. Although it was the men of the evening, that really brought this theme to life. For example, Jarrod Baumann of Zeterre and his fiancé Jesse Eller, adorned themselves with a beautiful assortment of life flowers and plants, which is more than fitting for a landscape architect. There was an abundance of floral gowns, coats, and every floral themed accessories that one could imagine. The evening was special to me because it was a night centered around reuniting with dear friends, air kisses, warm hugs, and community. This is my favorite event of the year in San Francisco. I strongly believe that antiques are history; the story of culture, the decorative arts, and human connection. The event was full of excitement and was simply beautiful. I encourage everyone to stop by the Fort Mason Cultural Center for Arts & Culture to partake in the beautiful show. Last week, we were honored to host a private launch party for the new John Varvatos fall collection in the beautiful Bently Nob Hill building. 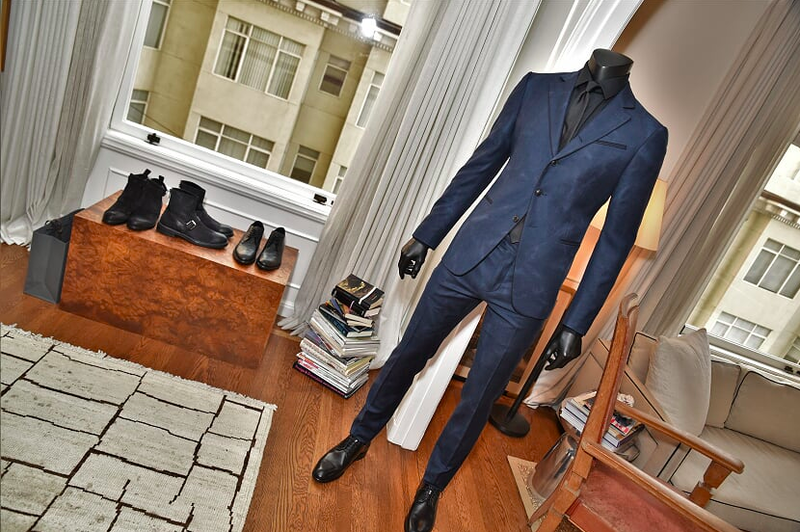 The collection included suits, handmade leather shoes, rock and roll style jackets, and limited edition items that were flown in from other locations to San Francisco, specifically for this intimate event. John Varvatos is akin to the artisan experience. They are described as being modern, and timeless, with each of their designs thoughtfully crafted by hand. Varvatos’s designs are classic, high end, and edgy, mixing traditional clothing with a modern and rock n’ roll twist, catering to the high-end male customer. Some special quests in attendance were part of the John Varvatos family. 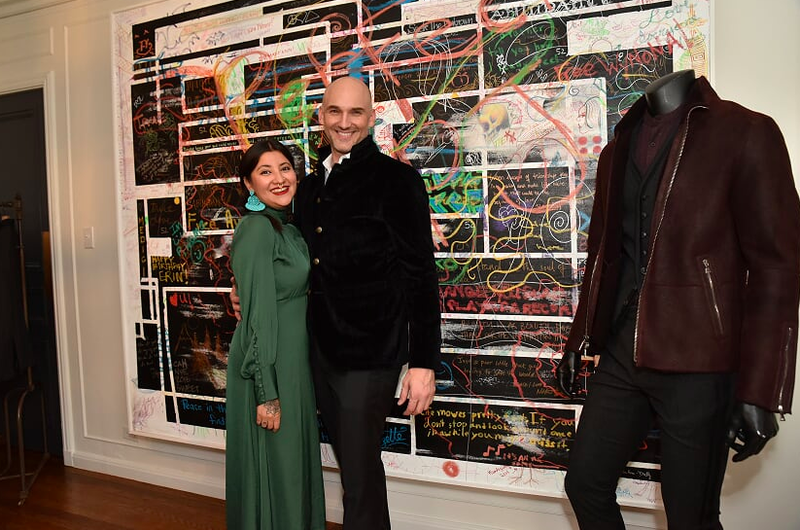 We were lucky enough to spend the evening with Tripti Pandey, the sales manager of the John Varvatos San Francisco branch who provided all the specialty designs. We had the General Manager of the San Francisco location, Justin Jones in attendance. The Senior Director of Marketing and Events, Anthony Davalos also joined us for the evening, along with Amy Rindone, who works as the Assistant Manager of the San Francisco store. Brandon Lloyd and Label Atkinson were also guests from the Jon Varvatos Family that had joined us for the event as well. Other guests included on the closed invitation list even extended to some of our very own artists, like Daniel Samaniego. To round out the evening, the amazing bartender, Matt Roner of Casamigos Spirits Company, worked the event. He was skilled in creating delightful and elegant drinks for the evening featuring the renowned Casamigos tequila, created by George Clooney. DJ Hay Hay, aka Haley Myers, was also in present to set the mood and provide the part with new music. Haley was bright and lively, and was perfectly able to provide music that kept the party spirits high. With such a lively crowd, a good time was had by all. 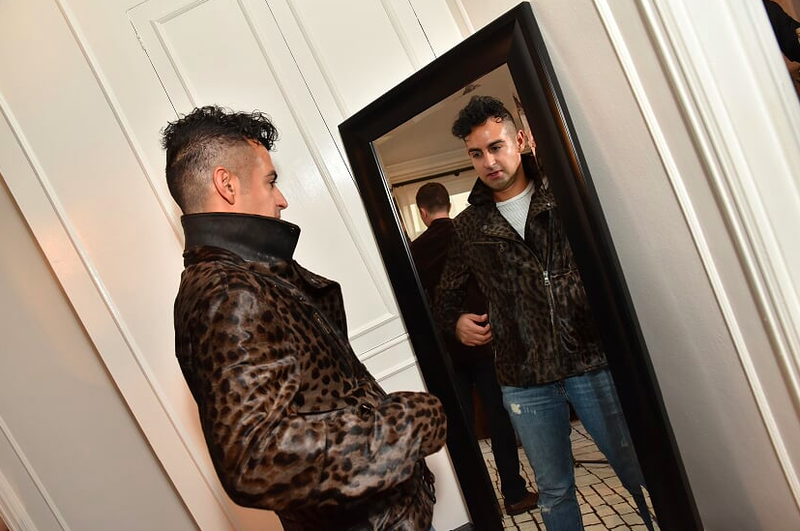 The guests were able to try on and even purchase the new designs all in the comfort of the Bently at Nob Hill luxury apartment building. With the drinks flowing and pieces from the new collection being purchased, the night was concluded with a festive and successful air. On September 17th, I was fortunate to be invited as a guest of Coup D’Etat to attend the amazing Divas of Drag Event, held at the San Francisco Design Center. Divas of Drag hosted its 3rd Annual “High Glamour, high- camp” Gala which featured creative and colorful drag performances by more than a dozen local Queens. The Queens were seen wearing colorful and creative designs, which were created by a multitude of designers from the San Francisco Design Center. These designs gave the audience an opportunity to see the beautiful textiles represented at the Design Center. The event was in place to not only showcase the talent housed at the design center, rather the ultimate goal of the night was to raise money and donate the proceeds to Lava Mae, a company that provides mobile showers for the homeless. Lava Mae’s mission is to provide care through the mobile hygiene services, pop-up care villages, and BuildIt toolkit to bring critical services to the streets delivered with radical hospitality in order to restore dignity, rekindle optimism, and fuel a sense of opportunity for those in need. Overall, the event was a rousing success. I so greatly enjoyed the Show, and I feel so blessed to be included in this event by the Coup D’Etat family.